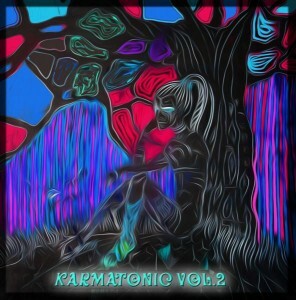 Karmatonic Vol. 2 is a fresh collection of experimental electronic tunes from Karmatonic Records, a music label mainly featuring artists from the nations of the former USSR. Inspired by vibrations from space and the far parts of planet Earth, we are focused on producing quality music in the domains of IDM, glitch, ambient, noise, and acid, balancing light and darkness to show the divine beauty of the universe and its deepest horrors at the same time. Compiled and mastered by Technoid Mutant at Technoid Mutant Mastering Sound System (TMMSS). Artwork by Sandra San. MP3 Download | FLAC Download | WAV Download · Download count: 6,683. I need extra padding to watch, aaaa, hear these sounds or else it might hurt more than it does. Enjoying what’s going on here! Great label, and some intense soundscapes! Keep up the great work! This is a stellar release, in my opinion. Muchas gracias! Thank you for the quality ! To me this is sort of the ‘pop’ sound of IDM, lullabies with music boxes etc, very reassuring mood. The melodies are beautiful but I tire of the percussion sounds and predictable structures. It’s a little polished, stylized and ‘in the box’ for my taste. my previous comment does not apply to Galvanek – Orphan, however. this is exactly my style, wonderful use of plucked acoustic sounds in heavily processed context, and a very interesting and complex rhythmic structure. the best elements of Oval and Autechre. I would love there to be more music of this kind on ektoplazm. overall I would give the comp 3-4 / 5, depending on my mood. everything here is well made.